There is a great demand for recipes that mimic our gluten-filled old favorite foods but use only Paleolithic ingredients. My family is no exception. We thrive on Paleo muffins, Paleo cookies and Paleo snack bars. As you peruse through my recipes and those on the many other wonderful Paleo recipe blogs, you will notice a few common ingredients. I thought you might like a little primer on why we choose which flour substitutes for which recipes. brands). Almond flour is quite high protein, rich in vitamin E, many B-vitamins, manganese, potassium, calcium, iron, magnesium, zinc, and selenium, while also being lower in omega-6 polyunsaturated fats per gram than many other nuts (but it does still contain about 12g omega-6 fatty acids per 100g whole almonds). When baking with almond flour, you can use similar quantities to regular flour in your recipe, but know that because almond flour does not contain gluten (yay for our intestines! ), it doesn’t yield the elasticity or hold together the way wheat flour does. This doesn’t matter for some recipes (muffins or a crumbly cake recipe), but can really feel missed in other recipes. 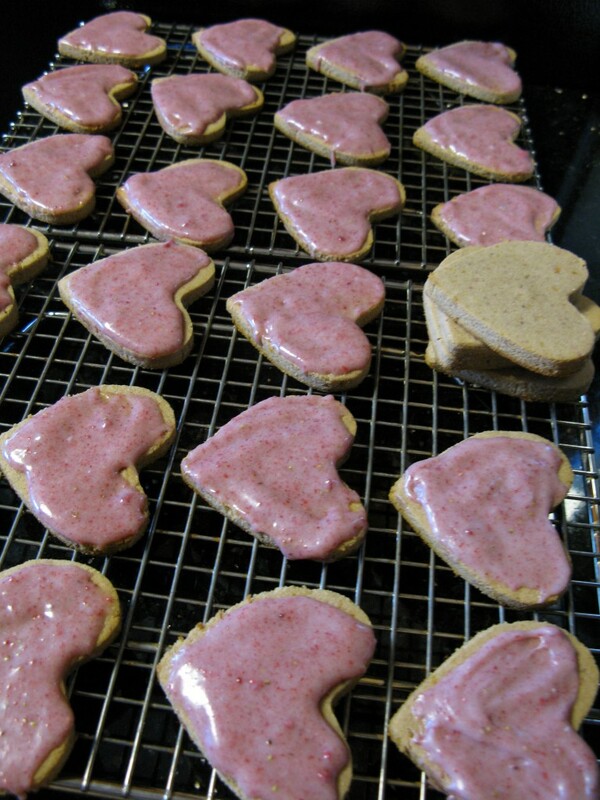 Often recipes that use almond flour require a little more egg or other binder to be added. or Tropical Traditions brand). It is predominantly the fiber from the coconut and so it absorbs huge quantities of liquid. A good rule of thumb is to use one quarter of the amount of what you would have used if you were using wheat flour. I find myself playing more and more with recipes that use just coconut flour because of nut allergies in my extended family and because of the omega-6 and phytate content in almonds. The biggest challenge with coconut flour is texture: recipes can be very sensitive to the exact quantity of coconut flour. One teaspoon too much, and the result is grainy and heavy. One teaspoon too little, and it doesn’t hold together. Generally, I find that recipes that use coconut flour require more iterations to get exactly right. is similar to arrowroot powder but also gives a little elasticity (something that is often missed when baking without gluten). I find myself using arrowroot powder more frequently than tapioca starch, but that mainly reflects my comfort level with arrowroot as I get to know both of these flour substitutes better. Both of these flour substitutes are from ground starchy tubers, so they add carbohydrates to whatever you’re making. I consider these second-choice flours and generally use them only when almond flour or coconut flour are not working on their own. 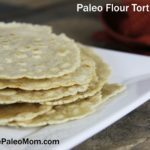 You can also see The Science and Art of Paleofying—Part 1 Paleo Flours to read more about various flours used in Paleo Baking. Grain-free baking typically requires a lot of experimentation. But creating the perfect recipe definitely makes it worth while! I just discovered your blog and I’m devouring it. Thank you so much for all the recipes and basic information posts. They’re perfect! My oldest son has been on and off a GF/CF diet for years, but I find it impossible to stick to if the whole family’s not on board. I think it’s about time we all went Paleo! Thanks! Word in the Paleo world is that coconut allergies are rare but many members of my husband’s family are allergic. I guess it’s a genetic thing but I’m having a hard time getting them excited about Paleo when most of them are allergic to the Paleo staples for baking (eggs, nut & coconut flours). I am still trying to figure out how to bake without resorting to just buying a gluten free flour mix of potato and rice flours but I’m not there yet. I recently stocked up on arrowroot and tapioca flour, next I’ll try sweet potato flour. I personally love coconut-it’s really a bummer! I’m so excited about your new cracker recipe! Thanks for this information! I’m going to experiment turning a vegan carrot cake Paleo this weekend. Wish me luck! Do you know how many eggs I should use per 1/4 of coconut flour? Any advice would be gratefully received. Sorry, I usually just look at a recipe and start adding 1tbsp at a time until its the consistency I’m looking for. Good luck! Palo pancakes with almond & coconut flour, unsweetened applesauce & real maple syrup…a few other things & they were fantastic. 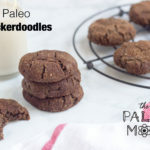 I found them on pinterest but I’m sure Paleo mom has some too. 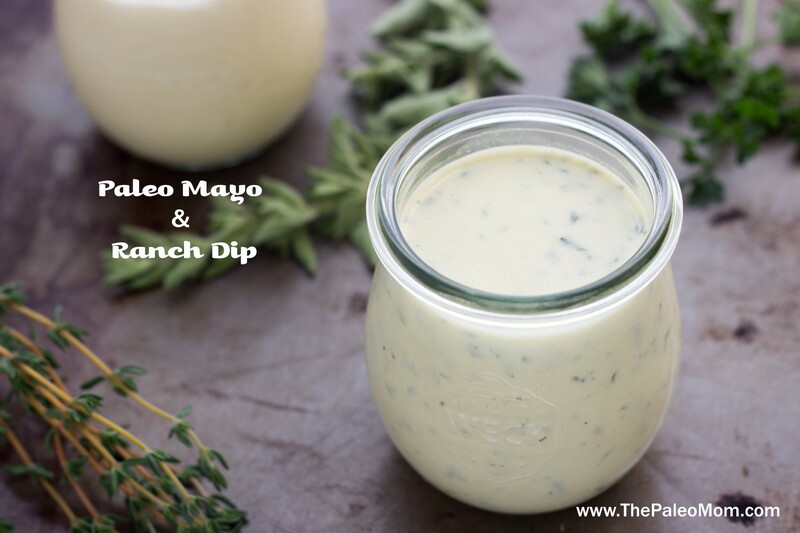 For thickening sauces, my favorite is either arrowroot powder or kuzu starch. 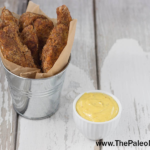 Is Mesquite Flour considered Paleo? Depends on whether the whole pod including the beans is ground (not Paleo because it is a legume), or just the pod without the beans (that would be okay). Most of the time, the whole pod is ground. Which of these flours are AIP legal? Hi, just came across some Banana flour at a health food store in Queensland Australia. I was interested to know if you’ve ever seen or used it in any recipes? Hi, I have been using gluten wheat free Trader Joe Oats so that is good or not? or if not should I switch to use almond flour? i’m using to make waffle, pancakes and other? Thanks. Would dearly love to use coconut flour, but it sends my reflux through the roof! I tolerate coconut in all other forms so am wondering if it’s the processing of the coconut flour. Any insights/advice on this? We are transforming into Paleo right now I’m realky overwhelmed. With what to eat what to sub for flour, what’s goid what’s bad. I just have so much to learn. Hello, and what about teff flour which is also gluten free? I know that it’s from ethipian grain but is it AIP friendly? Hi, I’m just wondering if you could help. 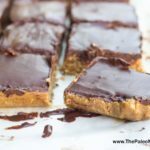 We’ve been doing the Paleo way for around 2 months now, I miss baking for the kids. I really don’t enjoy the texture or taste of coconut flour but everything else coconut I like, is there anything I can substitute it with anything else. I have a recipie for pumpkin bites and it calls for coconut flour .. Would it work if I used tapioca flour instead I don’t have the coconut flour on hand ? So I have been at least 80/20 Paleo for about a year and a half. I miss baking- can’t afford to with the high cost and unusual textures you sometimes get with nut flours, but I don’t mind the pancakes, etc made that way. That said, my husband and teenage son are 100% not on board with me, and it is becoming very problematic. I need to find a middle ground and soon! I have found a GF flour made with arrowroot, tapioca, rice and sorghum. Since the only thing I don’t use now is the sorghum, I did a little legwork and am more confused than ever. 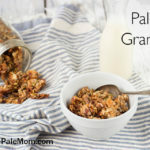 The Paleo community’s nutritional objections to this ancient grain appear pretty groundless to me, as there are approved fruits and vegetables with higher levels of Lectins and phytates. Also, the nutritional profile, protein, and fiber content of sorghum is pretty impressive, while the “anti-nutrient” levels are relatively low. I have to find a middle ground at my house, as well as some modicum of convenience, as I do work outside the home and don’t particularly enjoy food prep. I would really appreciate some feedback here with regards to the specific objections, with appropriate resources, to using this grain. I’m on a low FODMAPs AIP right now for about two weeks (started with low FODMAPs three months ago). I tried using a spoonful of arrowroot to thicken a lamb stew last night and it seems like my GI symptoms went berserk. Does this seem like it could be the probable cause? I haven’t had trouble with stews with these ingredients before. 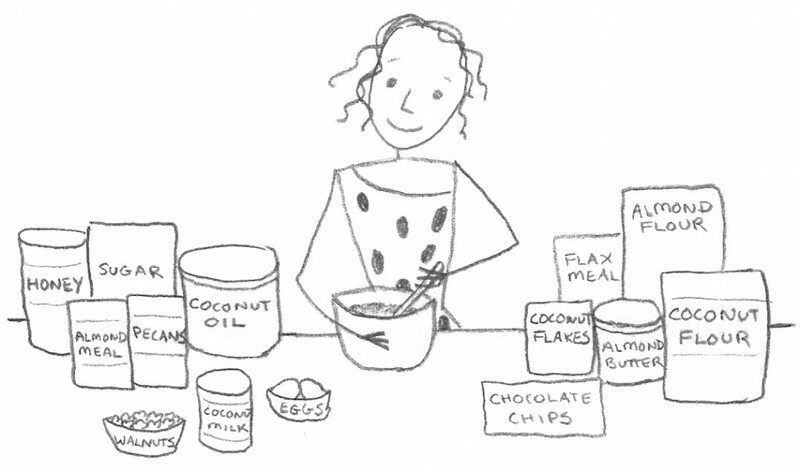 Also, do you know if coconut flour could be substituted instead? I usually toss the meat in it and brown it when I make a stew. What are your thoughts/uses for tigernut flour? Thank you. Do you have any opinions on cassava flour at this point? I want to make Trisha Yearwoods’s Texas sheetcake. She uses self rising flour. I am so confused. What flours would I sub out for this? Cassava flour is the flour that seems to work the best for one-to-one substitutions. However, it may be easier to make a cake that has been developed to be grain free as opposed to trying to recreate a non grain free recipe to be grain free. I have a recipe for Vanilla Layer Cake that could be made as a sheet cake. You can have exquisite recipes for cooking but the cassava is not a healthy food. it contains a large amount of starch, therefore it is pure gluten; which is exessively inappropriate for health. In Latin countries, animals with cassava are fattened, especially pigs. They also use it to starch shirt collars and cuffs. All food that contains starch is terrible for health, above all, fatal to arthritis. I am a fan of healthy foods but many times based on my knowledge and my own experiences, I do not give credit to everything I read or some say; including some Drs … Good luck! I don’t do well with coconut flour. can I substitute yam flour for coconut flour in cookies or pie crusts? I can’t find any egg free, nut free recipes. any help? What kind of flour would you recommend for a roux? I have used tapioca starch in the past but it does not thicken well and usually ends up separating from the oil (coconut oil) in the crock pot. I was going to try arrowhead powder but it seems that may give similar results. Any help is appreciated! I use 3 parts almond flour to 1 part arrowroot or tapioca flour for my roux. hey there, how much tapioca per cup of almond flour do you think is needed to hold togeterh a quick bread? i just tried making a banana loaf with only almond flour and it fell apart. What about tigernut flour? 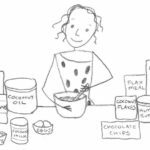 Can I use almond, coconut, arrowroot, or tapioca flour in its place? Or do I need to keep it on hand for certain recipes? Do you know how it’s different from all of the other flours? 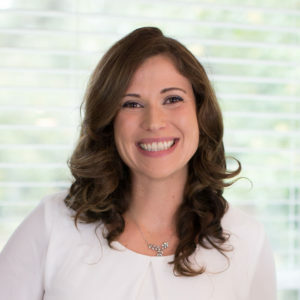 In this article of yours https://www.thePaleomom.com/start-here/the-autoimmune-protocol/ you say to avoid nuts for the autoimmune protocol. Should almond flour, or even milk, be avoided in that case, too? 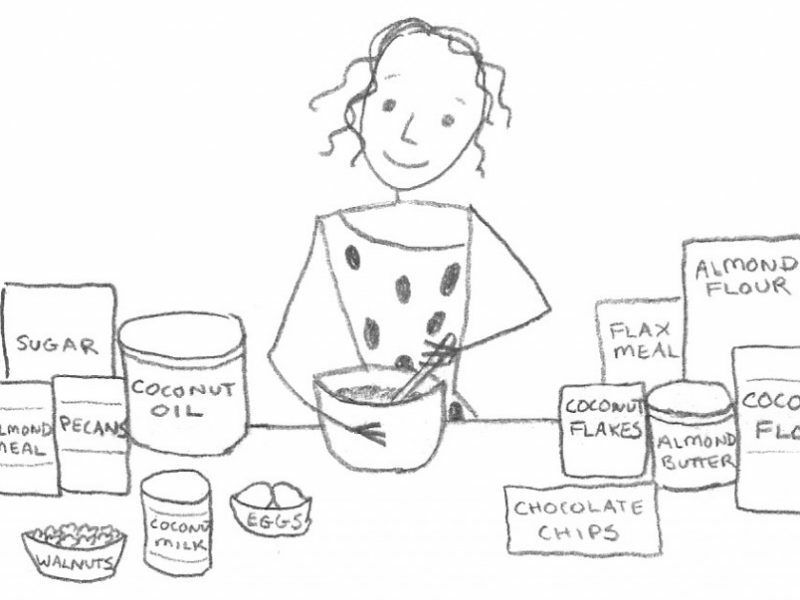 What flours would you recommend if I were following the autoimmune protocol? I have come back negative twice on autoimmune tests, but I have every symptom and reaction and everything else that point to having it, from gut issues to alopecia – I am going to treat myself like I have it for a bit and see what happens. I’ve already been gluten free and dairy free before, Just trying to find a good flour. What flour mix can I use that is gluten free but doesn’t contain almonds or rice. I’m allergic to all nuts except cashews and pecans and all rice. The only grain I’m not allergic to is oats.